What are you wanting to do with your hair? If you are on a tight budget, then clips in are a great option, or if you do not want the committment of our semi-permanent options. Tape Extensions are a higher end option than clips in, and can last up 4 to 6 weeks. 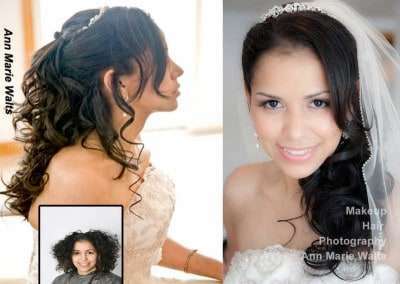 100% Real Human Remi Hair – Finest Quality. Fusion is our Premium & Luxurious Option. It allows for the maximum customization available. Longest lasting option. *Makeovers can take 5 to 12 hours. REFER A FRIEND & Get Rewarded up to $100 Service Credit! 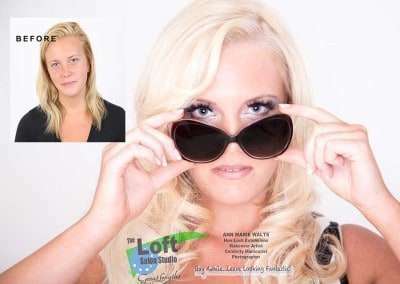 “The Loft Salon Studio is THE place for hair extensions. I got Great Lengths extensions and I’m so in love with my hair! I can’t remember the last time I felt this beautiful or happy with my hair. I’m in the military and over the past few years my hair has succumbed to the constant abuse and wearing it in a bun every day had made it thin. Fast forward to my installation- I have the most lush and long hair! I truly feel like a brand new woman! Ann Marie is such a professional- she listened to me and knew exactly what I wanted, and didn’t try to push me to do anything I didn’t want. I spent the whole day with her chatting and laughing. She color matched my blonde hair perfectly to my extensions, and educated me on every facet of the process. Don’t underestimate what extensions can do for you-I truly feel like it was worth every penny and if I take care of it, I know it will last. Ann Marie’s work is skillful and talented. I’ll be a client for life!!! Thank you Ann Marie!! ” Kat M.
“Stand back for the ARTIST at work! Ann Marie provides individualized, customized RESULTS that matter, Every time I leave The Loft I am transformed and SMILING. She is a master of her craft(s), which is totally to my benefit! And she loves what she does ,so she rocks it – every time! I would highly recommend this experience for extensions (lashes and hair), color, cuts nails and toes, but only for those people who know they deserve and expect a higher level of service and experience. “ Laura W.
Why should I chose your business for my extensions? My business module offers to you a very personalized appointment(s) with the focus being on you, at your private appointment. Great Lengths recognizes the frequency of how often that my business provides extensions with a “Platinum Level” status. If you are seeking the highest quality product, workmanship and unlimited solutions then my business has that to offer, and combined with a professionally photography studio…you are definitely going to look amazing. My work has been published by Modern Salon Magazine, Redken (for hair color techniques -From formerly teaching for them), and my celebrity manicures are published in high fashion magazines..such as Harper’s Bazaar, but my greatest accomplishments are when I work with my guests! However, do not take my word for it…see what my clients are saying! or You are welcome to call 1-800-663-3758 Great Lengths if you have any questions, prior to booking to ask about my business. For premium bonded extensions, we recommend removal every 3 to 5 months, depending upon the type of application performed (i.e. lengthening, volumizing, etc.). For GL Apps tape-in extensions, we recommend removal every 4 to 6 weeks. Both removal timeframes are dependent upon the state/condition of the client’s natural hair and their lifestyle. In 1992, Great Lengths International created and patented the “Synthesized Keratin Protein Polymer” bond for the application of hair extensions. In short, the GLI bond’s molecular structure mimics that of human hair so that it possesses the same characteristics of human hair. We have visited the factory in Nepi, Italy and can testify, first hand, the care that goes into this brand. Thank you for asking, but the answer is no. We only work with products we offer. What if I do not feel that I need a consultation, and I just want you to simply give me a price? Unfortunately, we do not provide our professional expertise in this fashion. We need to get to know our clients hair, needs and analyze your hair’s health, color, and thickness…in person. Hair extensions are a luxury service, and our consultation is a design appointment for clients who are serious about getting extensions. We do not participate with any “Groupon” like offers,etc. Is there a charge to remove hair extensions? 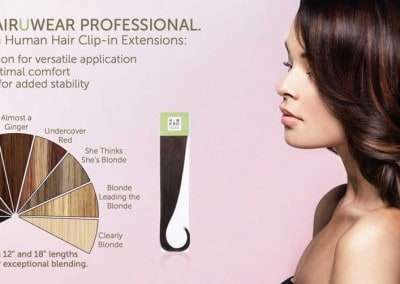 Hair extension removal for is just as important as the professional installation. Your extensions will be gently & professionally removed to properly insure the health of your hair. After your removal you will hair will be clarified, and deep conditioned while you experience an ultra relaxing scalp massage. Lastly, you will be blown out and leave relaxed. The average removal can take 2.5 to 4 hours, depending on the amount of hair extensions that are remaining. *We offer a referral program and there are incentives in place where you can earn reward points, that can be applied towards your services. I am already wearing hair extensions from another salon...why do I need a consultation? As we have not worked with you before, our consultation is necessary. Your one on one personalized design consultation is a personalized guest experience that includes a custom makeover consultation to discuss what look you are trying to achieve, best options for your lifestyle , current hair texture, color matching . All to best create your new seamless look. What if I need to reschedule my consultation? email, text and or phone call reminders. Please let us know which you prefer. Less than 24 hours and no-shows will result in a broken appointment fee of 100% of services booked. No Shows result in the lossed opportunity to offer the reservation to another guest, and in turn is a loss of revenue for the business.